I think every time I've picked Nico to win he has - he should start paying me on the side! Things are looking juicy going into Brazil - could we see a switch in the lead of the team championship? The way I have been picking I'm certainly frightened of a change!! 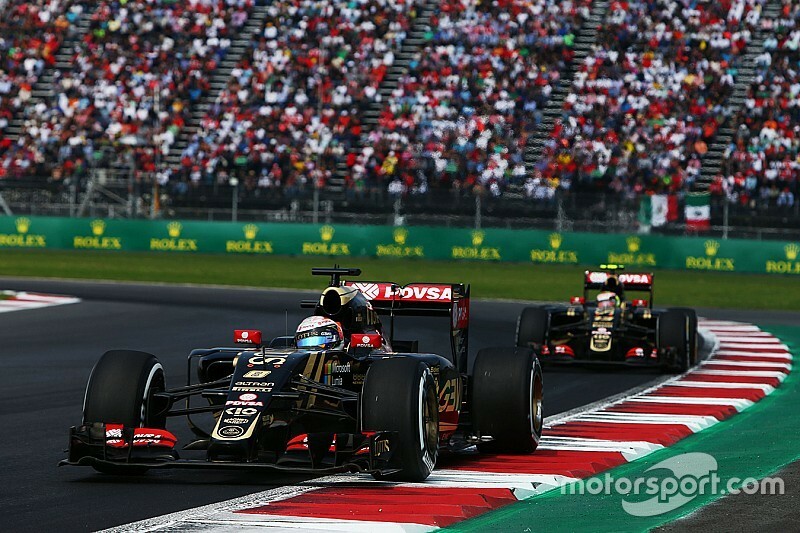 F1 returned to Mexico for the first GP since 1992 and what a fanbase we missed out on for 22 years! After 71 laps of limited grip and top speeds of 225+ mph it was Valtteri Bottas who claimed 3rd spot on the podium, Lewis Hamilton took second place but it was Nico Rosberg who took his 4th win of the year. With two rounds to go the top 8 are still in contention for the title, but the closest battle is between the top 4 after Exediron capitalised on the top 3 not scoring that round to move only 15 points behind the leader jimmyj. With GPG 6 points behind and Saz 10 points behind this looks set to go to the final round. I am going away on holiday later this week and wont come back until the week after the Brazilian Grand Prix so expect an update on the weekend of the 21st/22nd of November, ready for the final race the following weekend. Go bold or go home, as they say! This prediction may be subject to change, but as I'll be unavailable potentially until Saturday I need to get it in now. Last edited by GPG on Fri Nov 13, 2015 6:09 pm, edited 2 times in total. Changing my prediction to a bold one. Slight change to my prediction to account for possible mixed conditions over the weekend. Gonna be a pretty exciting race for our little competition, with the possibility of the championship being clinched here! Rosberg's form will be the deciding factor at the top, with a 100% confidence rate for a Vettel podium amongst the championship contenders! It is very exciting! I think Nico may take out Hammy and Seb in the 1st corner and we're all screwed. LOL. Well, so-so race, but I liked the result! Bring on Abu Dhabi and the championship showdown in the desert. Hats off to my partner Mayhem for saving our butts. Any updates on the last one? Soon, I got back yesterday and will update Monday at the latest if I don't get chance to do it tomorrow afternoon/evening. Thank you! Much appreciated as always. This is going to be an exciting week coming up! Looks like we are set for a big finale (in our championship at least). In a race where everyone but the Ferrari's were lapped ( ) Sebastian Vettel came home in 3rd place. Lewis Hamilton finished second just behind Nico Rosberg who took his 5th win of the season. For us that meant a wide variety of scores which ensures that both championships will go to the last round. So as we go into the last round GPG has taken a commanding lead of 7 points over jimmyj. Exediron also had a good round, moving into 3rd, just ahead of Saz who is also still in contention for the championship. No Limit Excedrin Racing scored a double perfect podium in that round moving themselves into 1st with a lead of 8 points over F1 Mayhem. F1 Mayhem may be able to take advantage of the fact that the two No Limit entrants are also battling each other for the singles championship in the final round. So its finale week and both championships are down to the wire. I will post a summary of the championship contenders in a moment. NOTE: I am quite happy for the championship contenders to PM me their picks for this week and I will then post them myself after the 8.00pm deadline on Friday. Reigning champion GPG is looking to defend his title and holds a commanding lead of 7 points over his nearest rival jimmyj. Exediron and Saz need nothing short of a perfect podium in order to win the title and also need to hope GPG doesn't score highly. No Limit Excedrin Racing holds a slim advantage over F1 Mayhem going into the final round. Reigning champions Force Indian Takeaway are now out of contention for the title in 4th place currently. This is one to watch closely as contestants focusing on the singles standings may cost the team championship. Last edited by Black_Flag_11 on Sun Nov 29, 2015 3:18 pm, edited 2 times in total.